African cassava mosaic virus (ACMV) and East African cassava mosaic virus (EACMV) are whitefly-transmitted geminiviruses (WTGs) which are widespread in cassava in Africa and cause serious yield losses. Recently, a new geminivirus affecting cassava in South Africa (SACMV) has been reported. In this work SACMV was found to have DNA-A and DNA-B components. 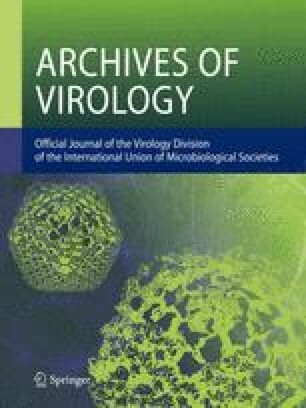 Comparisons of amino acid sequences of the putative coat protein, and nucleotide sequences of the common region and a 687-bp DNA B fragment of SACMV with other WTGs, showed that SACMV clustered with the Old World subgroup of the Begomovirus genus of geminiviruses. Despite its bipartite nature, SACMV was most closely related to monopartite TYLCVs, but was sufficiently different to justify designating it as a distinct virus. In serological studies, SACMV grouped biologically with EACMV isolates.